North Carolina medical license profile, with list of disciplinary actions against Andrew John-Edward Cracker. North Carolina medical license and CRIMINAL CONVICTION. On Feb 13, 2018, Dr. Cracker was convicted of driving while impaired. The board fines him $100, and puts him on 12 months of unsupervised probation. The FL Dept of Health disciplines Dr. Andrew Cracker after he botched a surgery and left two sponges in the patient's abdomen. Dr. Cracker is fined $500 and required to completed 10 hours of Continuing Medical Education. See pages 2 & 8. Pennsylvania disciplines Dr. Andrew Cracker in response to Cracker's discipline in Florida. Cracker must pay a $500 penalty to the Commonwealth of Pennsylvania for a botched surgery in Florida, where he left two sponges in a patient's abdomen. See pages 1-3. 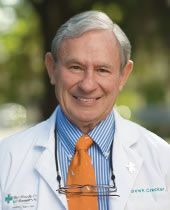 Dr. Andrew Cracker receives a reprimand & $5000 fine from the North Carolina Medical Board for violating laws regarding drug prescription and illegal fee-splitting with non-physicians. See pages 2-5, and 7. North Carolina relieves the consent order obligations on Dr. Andrew Cracker.